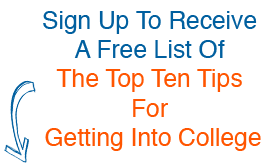 Home - Resources - Blog - Top Reason for NOT Getting into a Top College? I just read this interesting article in the New York Times about how American students are being turned away from some of the top American universities due to globalization. Check out the article and let us know what you think…. The frenzy over admissions at top colleges can seem nonstop: the last-minute flurry as accepted students decide by May 1 where to attend, the Supreme Court battles over affirmative action, the applications that some high school juniors have already begun writing. Yet the globalization of these colleges has been largely missing from the discussion.